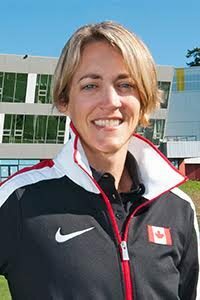 Athlete/Coach notifies their Canadian Sport Institute / PacificSport Athlete Coach Services representative in writing. CSI Pacific reviews disputing athlete’s/coach’s nomination status. If athlete/coach does not appear on PSO/DSO nomination list, CSI Pacific notifies athlete/coach to contact PSO/DSO representative responsible for list nomination. PSO/DSO will attempt to resolve the dispute with athlete and/or coach by confirming criteria achieved or not achieved. If the athlete/coach has satisfied nomination criteria, the PSO/DSO contacts CSI Pacific to make adjustments to athlete’s/coach’s nomination status. If the PSO/DSO finds that the athlete/coach does not meet criteria, the PSO/DSO contacts CSI Pacific to update the status of the dispute and whether or not additional actions need to be implemented. If athlete/coach wishes to appeal decision made by PSO/DSO, CSI Pacific will render the final decision and the recommendation will be final.